Got a green project? 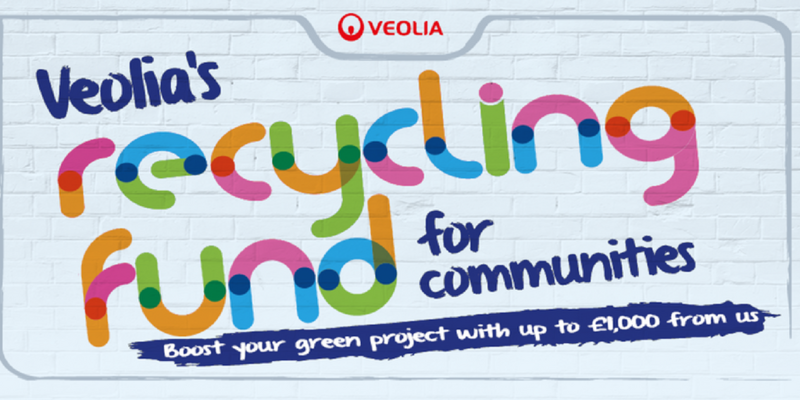 Get a boost from Veolia with up to £1000 for your project with the launch of their new Recycling Fund for Communities. Learn more about the fund, how to apply and how to run a successful crowdfunding campaign at one of our interactive workshops across London this February. 8 Feb – 6-8pm – Wasps Great Hall, Twyford Avenue Sports Ground, Acton, London W3 9QA. Register here. 9 Feb – 6-8pm – The Sundial Centre, Shipton St, London E2 7RU. Register here. 15 Feb – 6-8pm – Cole Court Lodge, 150 London Rd, Twickenham, TW1 1HD. Register here. 16 Feb – 6-8pm – Stockwell Community Centre, 1 Studley Road, London, SW4 6RA. Register here. 22 Feb – 6-8pm – The Bridge Renewal Trust Within Laurels Healthy Living Centre, 256 Saint Ann’s Road, London, N15 5AZ. Register here. 23 Feb – 6-8pm – Jurys Inn, Wellesley Road, Croydon, CR0 9XY. Register here. Come along and learn how you can use crowdfunding to transform the places where you live, work and spend your time. If you have a project idea for improving your area or want to support people who do then come along and learn how crowdfunding can help! Follow the conversation on Twitter with #CommunityRecycling.